Scott "Scooter" leaned to fly early and became a P-51D Mustang pilot at age 19. He worked and honed his skills to obtain a low-level aerobatic waiver in the P-51D Mustang "Quick Silver" and performs in dozens of shows a year. 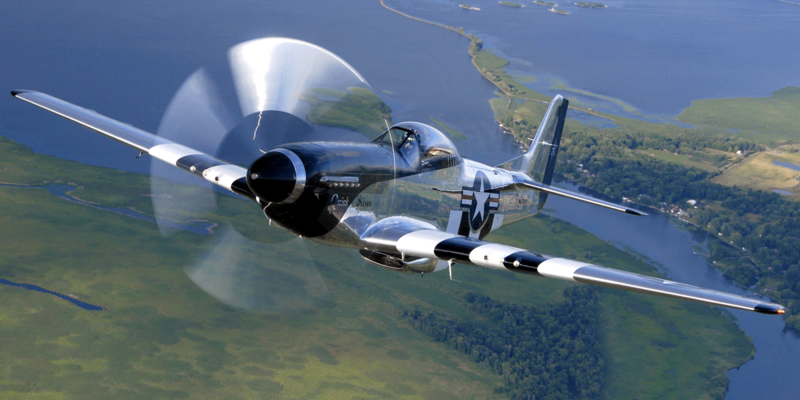 The P-51D Mustang is a celebration of our nation’s armed forces. As this silver bird quickly streaks across the sky, let us not forget those who served, sacrificed, and gave their all.